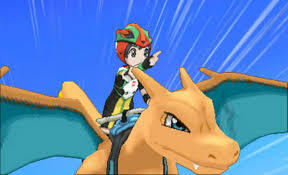 If you’re thinking that I just reviewed a Pokémon game, you’re right. The series has been churning out new titles faster and faster, and it makes sense that Nintendo would want to capitalize on the success of Pokémon Go with a new set of main series games. 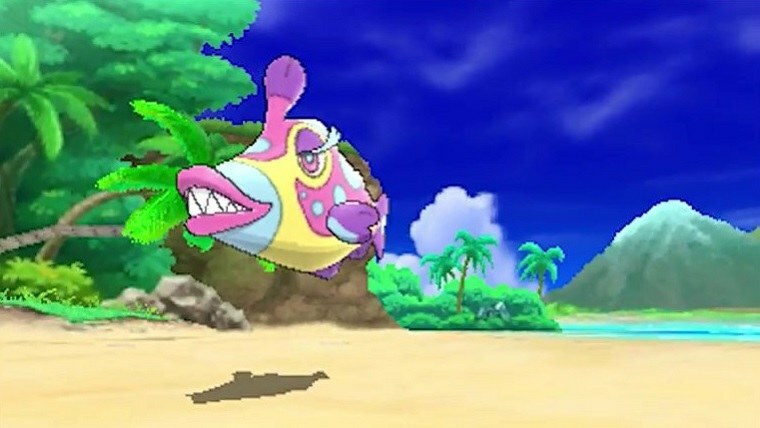 As such, we find ourselves in the 7th generation, and even the most diehard fans have been wondering if developer Game Freak is out of ideas yet. Fortunately, they’re not; if this was another by-the-numbers Pokémon sequel, it might spell the end of the series. Granted, the core gameplay is still the same as it ever was. 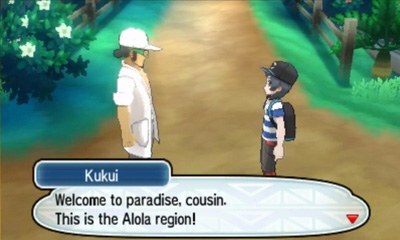 But the setting, the new region of Alola, changes how the game progresses. There are no gyms in the Hawaii-inspired archipelago; instead, players complete an “Island Challenge” which has them completing various trials. They don’t stray too far from the past, given that they all involve battling tough opponents for a reward, but the way they’re integrated into the story feels more natural and more meaningful than just being one of many to challenge the Pokémon League. Similarly, instead of a useless badge, completing a trial means getting a Z-Crystal, which lets a Pokémon use the game’s new Z-Moves. These basically replace the Mega Evolutions from the previous generation (though Pokémon who Mega Evolved in the past still can.) The nice thing about them is that, while there are some specific to individual species of Pokémon, any Pokémon can use Z-Moves. The other major and welcome change to the gameplay is that HMs no longer exist. The biggest pain for Pokémon trainers has always been that you need Pokémon in your party who know the field-use HM moves like Fly and Surf. We got a taste of this with the flute in Omega Ruby and Alpha Sapphire, but now all HM functions can be accessed by calling upon a Pokémon outside of your own team. So instead of having your Pokémon use Surf, for example, you call on a Lapras to take you across the water. There’s no question that this system is infinitely better, especially since the former HM moves still exist to use in battle. The only real mystery is why it took until the seventh generation for Game Freak to make this change. 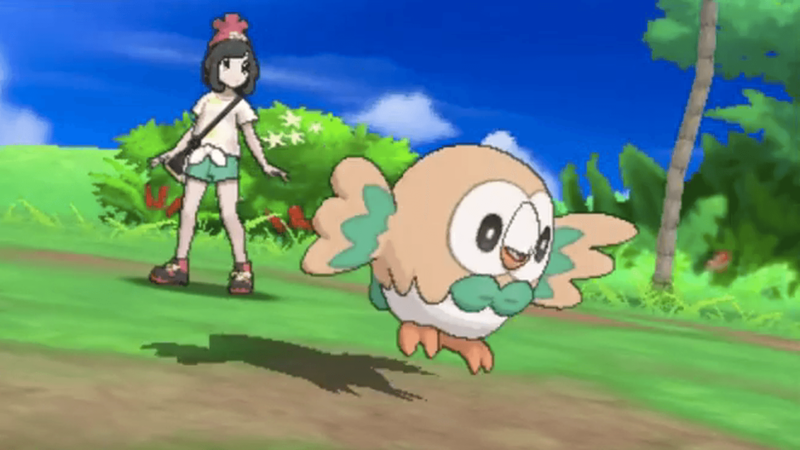 Game Freak also wisely cut down on the number of new Pokémon in this entry. It’s just as well, because the designs are really hit or miss. There are a fair few that really work well, some that do the job OK, and some that really don’t work. My personal favorite is the behemoth Bewear, a large teddy bear-like Pokémon that both attacks and shows affection with crushing hugs. The new legendary creatures are great designs as well, and given that there are now over 800 species of Pokémon, that they could come up with as many likeable new designs as they did is incredibly impressive. The designers also did a good job of not going overboard and introducing more new creatures than necessary; instead, the roster is filled out by new variations of Pokémon from the first generation with new appearances and types. This is one of the many ways Sun and Moon pander to nostalgic fans of the classic Game Boy games, but that isn’t necessarily a bad thing. There’s a certain call back at the end of the game (before the avalanche of post-game options begin) that really tugs at my own nostalgia. Speaking of the story, the series isn’t exactly known for its plots, but there is an interesting story woven in Sun and Moon. There’s still an evil team to take down, but they’re just the tip of the iceberg. Unfortunately, that means the plot becomes a bit more complicated than it should be, especially for a Pokémon game. There are multiple organizations at work, whose connections to each other aren’t entirely clear, and the character motivations aren’t explored as well as they could be. All of this is saved, though, by a large cast of interesting characters. While they might not be the deepest characters, they do make the game more enjoyable. The Alola region’s Pokémon Professor, Kukui, is an active character with a distinct personality, and he plays a much more active role in your journey than his predecessors did. 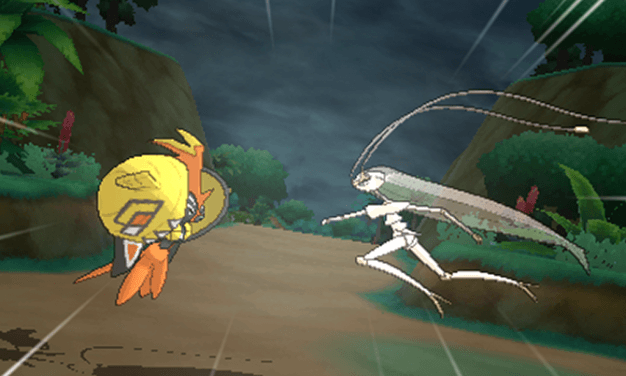 The two rival characters, Hau and Gladion, play off of each other well. Even your Pokedex has a personality in this game, as it’s inhabited by the poltergeist-like Pokémon Rotom. It means you basically have a sidekick with you throughout the game, which helps make things feel more personal. Now, if only you could also use him in battles. I have to admit, I was skeptical about Sun and Moon before I played them. I didn’t like all of the Pokemon designs all that much, and it seemed like it was too soon for a new generation, especially with the Switch coming out. But Game Freak has broken the mold just enough for this entry to feel fresh and new, while also keeping what we love about the series intact. This is something many of us didn’t think was possible, and it’s an impressive feat. The new Pokemon designs are still not the best, but there are enough choices to make anyone happy. And with the franchise’s commitment to post-game content growing with each entry, I’ll be playing it for a long time. Skeptical fans of older games a nd new players alike should throw caution to the wind and travel to Alola for a while; you never know what you might find.